It’s Tuesday, and we bet that you could use your daily dose of inspiration from people doing beautiful things in the spirit of hope and transformation. It’s another day, and we have another rad collective farm for you– and for this one, we are calling on the Greenhorns community to help amplify and support the voices and work of people of color who are doing incredible work in food justice, community building, and the resistance of oppression. I’m sorry, I just can’t write any more without a firm and capitalized, HECK YES. 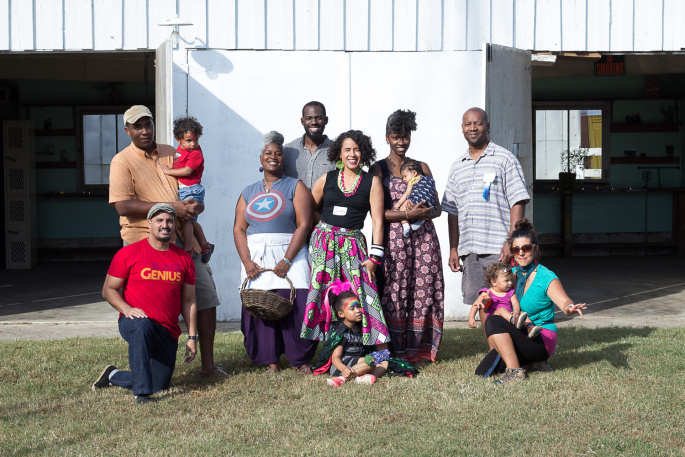 And now, to the point: Earthseed Land Cooperative has recently found a new home for their Tierra Negra Farms in 48 acres of pasture and woods in North Durham, NC., and they need help to get their programming and farming firmly rooted in this new ground. Earthseed Land Cooperative just launched a fundraising campaign to transform their barn into a community gathering space! Our plan is to start by raising $30K in 30 days! Learn more here, donate to the campaign, and consider becoming a sustaining supporter of their radical efforts. Don’t have money to give, there are more ways to help! AMPLIFY: Give them some love on Facebook, send out an email with our campaign info, tell your friends and family! CONNECT: Build a bridge to people/organizations who should know about the work that we do? Share our project with your people who want to see Black and Brown folks in the South reclaiming land for our common liberation with the blessing of Indigenous community and our ancestors.